Mission: Development in an organic process. It should go beyond projects. Brief History: Working since 1966 in last 36 years. Handling at present 360 Projects in India. AH has 3 offices in India – Bhubneshwar, Trichy and Mangalore. Issues Undertaken: All developmental issues / topics – where people are involved. 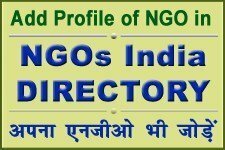 Eligibility Criteria: VOs / NGOs having FCRA, Good Credibility and People’s Involvement. 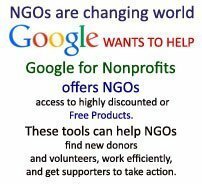 The Andheri-Hilfe Bonn (Germany) is a free, independent organization of development co-operation. It developed from a private initiative for distressed children in Andheri with Bombay and works since 1967 as non-profit association. By this time we contribute more than 450 projects and program in India and Bangladesh for the social and economic development of the poorest subpopulations. The emphasis of our promotion lies in the ranges of social work, education and health service as well as agricultural and village development (more to it you find under projects ). We render ‘help to the self-help’, in order to develop no new dependence or maintain old. 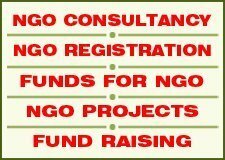 Our work is supported by approx 25,000 private donors, groups and companies and public means from the budget of the Federal Ministry for economic co-operation and development ( BMZ) and the commission of the European union. • We want to reach the poorest social community, without consideration for race, color, caste or religion. • We focus on causes for poverty instead of symptoms, to eliminate it and to make sustainable solutions at grass root level. • The projects promoted by us are to contribute to strengthen human rights and to fight any form from discrimination to. • The stabilization of the self-help forces, the personal responsibility and the self-determination of the target group are important to us – they must participate at planning and execution of the project intensively. • We exclusively co-operate with native (local) agencies responsible for the project: Nobody differently knows the situation, the culture, humans locally as well as it. • We make sure that the surrounding field is included into the project planning: If networks develop, people themselves can make attempt for their rights. • We examine whether the project measures pollution free and lasting, i.e. the bases of life of also future generations retain and strengthen. • We respect the cultural values of the target groups and promote them to retain them the valuable traditions and ways of life. • We attach importance on intensive, partnership dialogue with the agencies responsible for the project. It concerns mutual learning. • We want to give only temporally limited starting in each case: We support the target group to plan from the outset the continuation of the project from own forces. • The native (local) agencies responsible for the project must be ready and able to submit regularly project reports and accounts as well as to accept – also unangekuendigte -attendance of our coworkers. The sixties: It concerns naked surviving of the home children in the pc. Catherine’s Home into Andheri of Bombay. The seventies : Precipitous rise of the activities: Promotion of further children’s homes in India. Start of the action “blind healing Bangladesh”. Building of the Andheri assistance center in Bonn. The eighties: Intensive entrance into village programs, woman Mrs., obstruction rehablitation in India. Increased activities for the blind ones in Bangladesh. The nineties: Projects and programs are locally planned ever more intensively and converted with the population. Native coworkers transfer the company and co-ordination of the programs in close co-operation with the Bonn center. The first years in the new millenium: Increasing globalization with all its effects on the poorest ones means new challenges. Change of generations in the Andheri assistance secures future. The youngest TV film shows on the basis examples of a project “development is female”: Women are the most energetic carriers of the development. The founders of the Andheri assistance, Rosi Gollmann, hands the association presidency, which she held 34 years through honorary, to the woman employee of many years to the Andheri assistance over e. V., Elvira Greiner. It remains for their life’s work as well as the friends and partners here and in the projects connected as a honorary chairman and by its further proven cooperation. In January millionste eye operation under the program of the Andheri assistance takes place in Bangladesh. “Millionaerin” is blind for many years the fourteen-year old Hasna, to see lucky now. The well-known journalist and TV moderator the German public impresses Franz alto with its current documentary film “from the luck to see”. Many new friends and donor support the work of the Andheri assistance. The promotion of children (of slum, street, child labor, out of school children, girl child etc.) stands for the Andheri assistance in the first place, because they suffer from hunger and emergency, from illiteracy and in former times gainful employment at most. Beyond that it concerns also to open to them apart from a child-fair development future chances and make possible for them a human being-worthy life. If poverty is in the family the reason for the fact that parents had to away-send their children, then parents of the project are supported and possibilities are looked for, which up-improve the income of the family on a long-term basis. Important is also to sensitize and organize parents and actively into the work merge. Parents of the children in the project united in so-called groups of self-helps and to support the school and the center energetically. Different advanced training are offered in addition to them, in order to prevent that they work their children again send. Besides parents in so-called savings clubs organize themselves, so that they can put from their income somewhat yielding interest back. Thus their economic situation is improved and it is not longer forced, their children in emergency situations works to send. As preventive measure in the surrounding villages and Slums so-called youth clubs are organized. There the topic kinderarbeit will become treated and parents over the important meaning of education cleared up. One of the largest problems of India and Bangladesh is country-wide high unemployment and under employment. The experience shows that more investments alone in basic formation are not sufficient to bring humans in work. The education and professional training is necessary. There are approximately 62,500 training places for vocational education in Bangladesh. In contrast to this are available over eleven million places for general education. The mobile training centres carry teeth out and successfully prepare the apprentices for the working life. From where does success come? Women to promote, is us a particularly important request. Women belong often to the group of the poorest ones to arms. Concretely: Women are suppressed and exploited. They have no (away to) Bildungschancen, must more work than men, received however clearly smaller wages, are badly nourished. We will use your regular allowances for a project in the Kalahandi district of the Indian Federal State Orissa. This district belongs to the poorest and unterentwickeltsten regions of India. In particular the natives (Adivasis), who are members low box and the group that box lots (Dalits) here in more economically, more social and legal regard disadvantages. They require urgently the assistance, that can become in some cases the survival assistance. The Andheri assistance Bonn promotes landless families in the Kalahandi district by means of its partner of many years Jagruti became impoverished and in the context of a project for integrated village development. A goal of the project is it to contribute to the improvement of the socio-economic situation of the poorer and poorest subpopulations. Thus a movement, in which the Adivasis regains its self value feeling, develops itself in which it among themselves encourages to fight for its surviving in the homeland. These humans do not need our alms, it need also not the luxury of the large cities, it would like in its villages their lifestyle to survive accordingly. With joy we support these communities, which threaten to go down otherwise regarding the “modem” world. Here it applies to secure for families their future – and the irreplaceable culture of these natives to retain. Since the start of the action blind healing Bangladesh in the year 1974 over 7000 Eye Camps (mobile eye treatment camps) were accomplished. Nearly thirteen million eye patient could there and in the hospitals examined and, if necessary, are operated. On 2 January 2003 the einmillionste eye operation took place, which the 14-jaehrigen Hasna their eyesight on an eye returned. Few months later a further successful operation at the second eye of Hasna took place. To large success above all six so genannnte basis eye hospitals with a capacity up to 40 beds and the large eye hospital in the port Chittagong with 110 beds contributed. The hospital in Chittagong has the call to be one the best in south Asia. Here also the opticians of the basis hospitals are trained further and. The hospitals are led of our partner of the “Bangladesh national Society for the blind” (BNSB). Despite all scientific progress leprosy is still a scourge of mankind. Since it always concerns to the Andheri assistance in all work on the project the poorest ones, around to the edge the pushing, the leprosy patients represent one of our special target groups. Several settlements could already into the independence will dismiss; but many wait still.